No matter how silent or serious a workplace is, there are really moments that demand the the attention of the workers and the management. 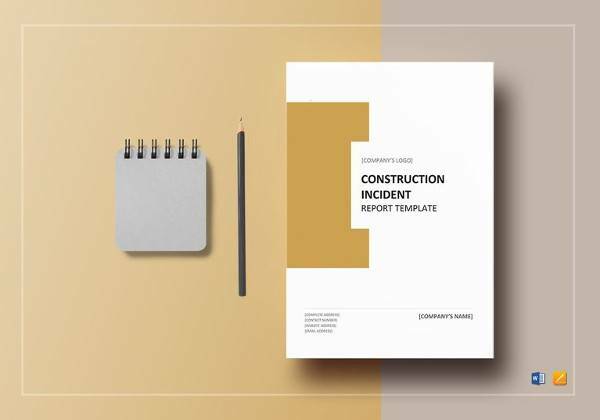 For instance, a worker in a construction site may be confident with the floor he/she is working on and thus, neglected some safety procedures; he/she may fall or slip and thus caused damage upon himself. 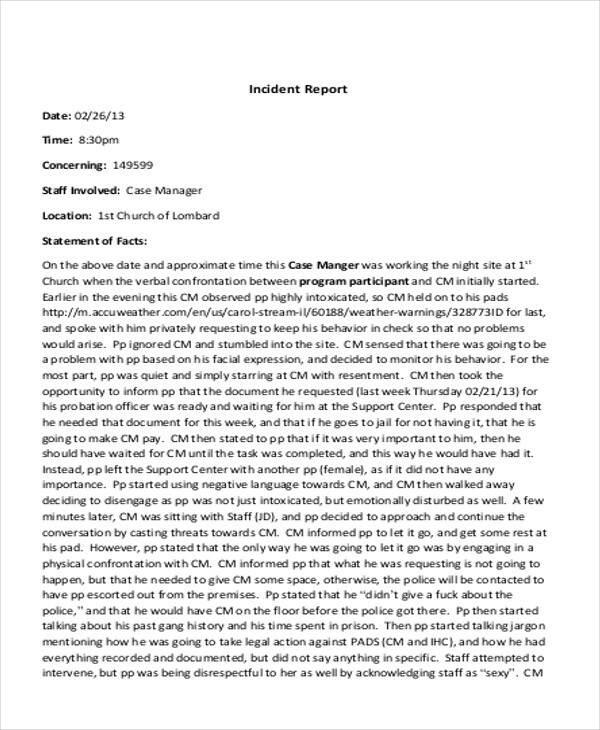 Incidents are common at work. 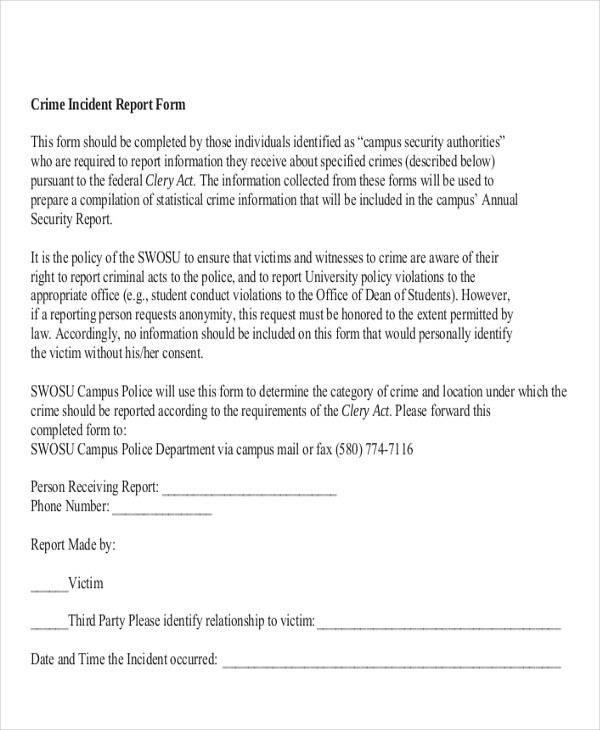 These are occurrences that are considered unfortunate yet somehow, they could have been prevented from happening so. 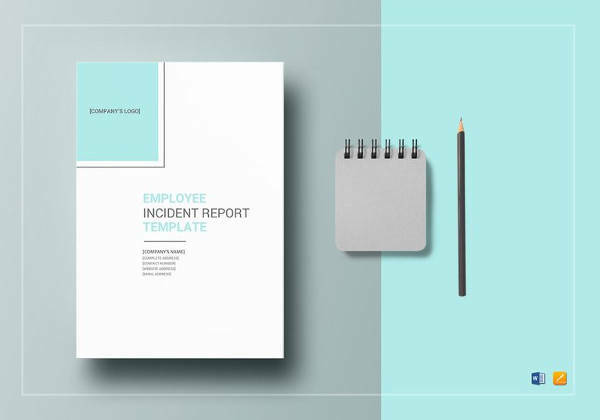 If an incident happened at your workplace, you might want to report that immediately. 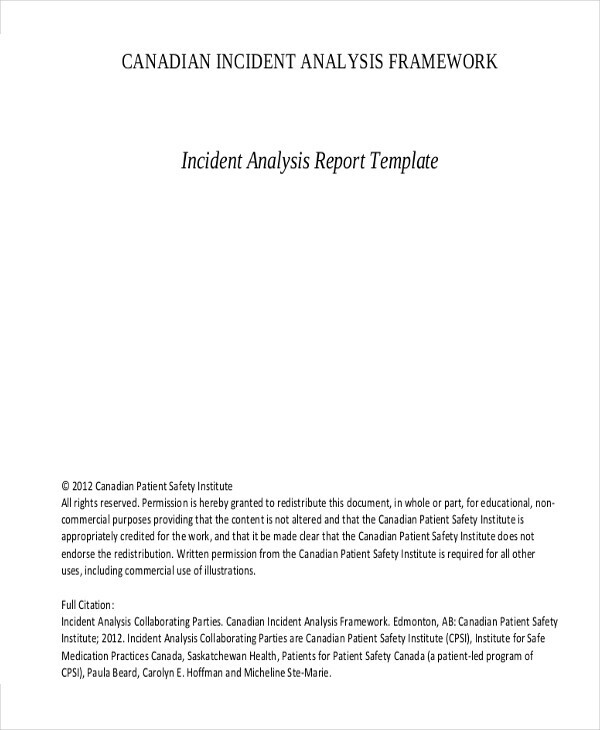 Below are Sample Reports you can check out and download for free. 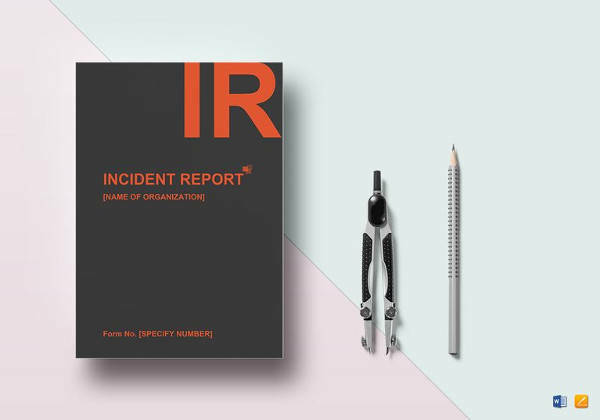 Perhaps the first thing that pops into your head when you hear the word report is news about events or occurrences that happen to people, may it be a car accident or a fire. You are not entirely wrong. 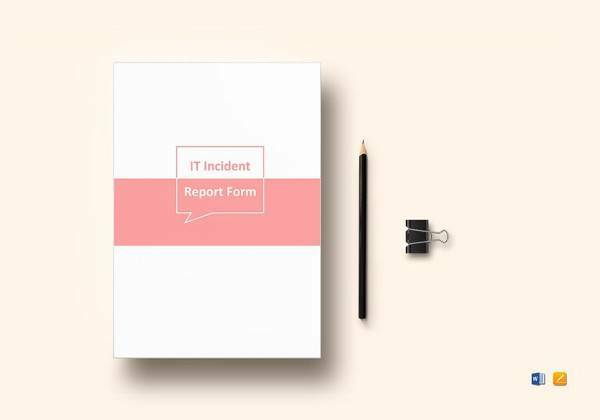 When incidents happen inside your workplace, one of the things that you have to do first is to file an incident report. 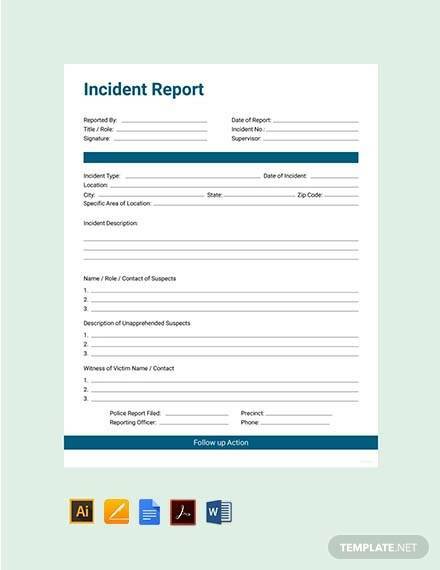 An incident report is a document that is filled out in case unfortunate events or unusual occurrences happen in the office or a facility. 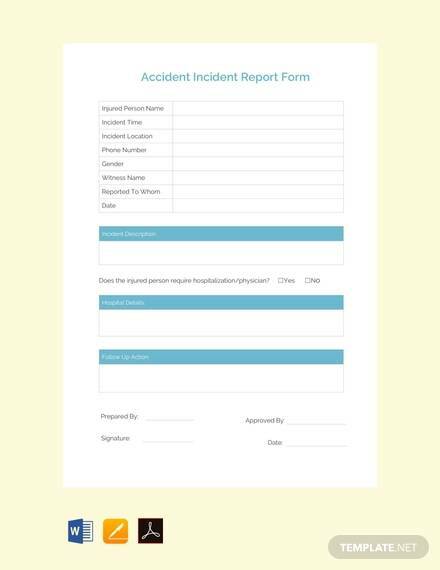 If your company has a certain form or protocol in filing for incident reports, you may first have to secure the form and ask the necessary steps for reporting the incident. Next is that you have to get the facts. 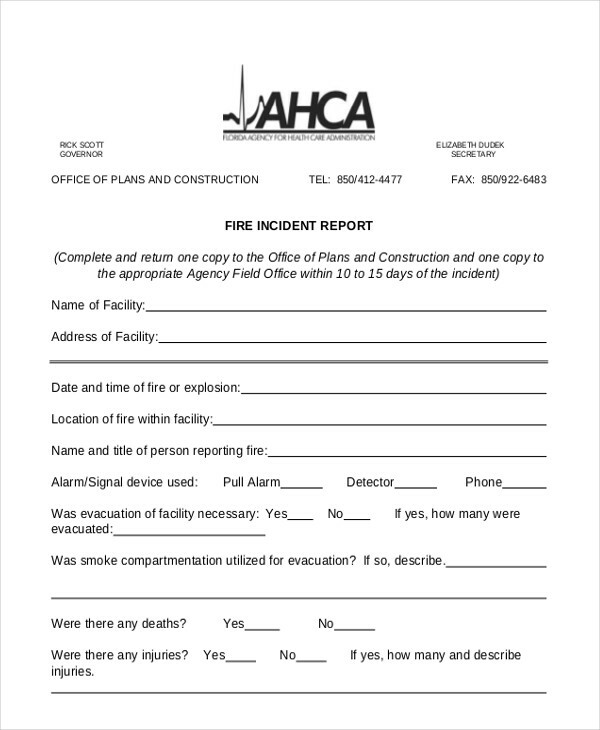 If you are not very familiar with some parts of the incident, you may ask witnesses who are present during the occurrence. 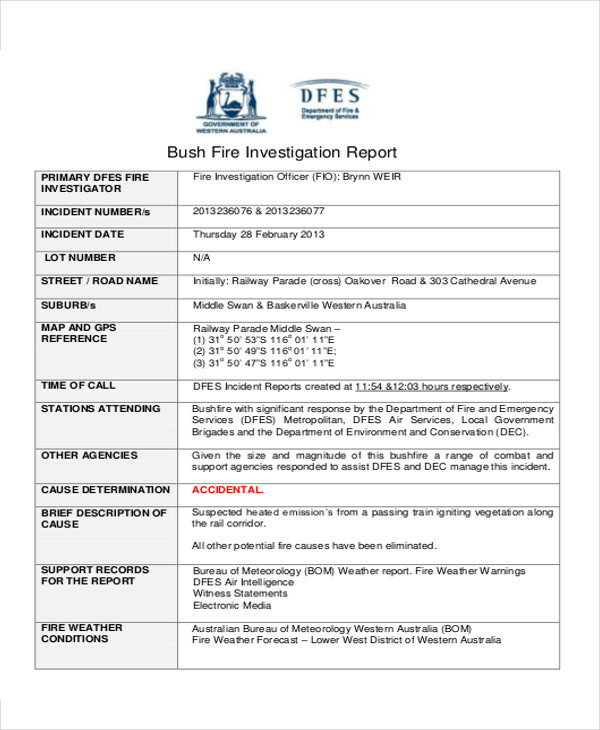 This may include the date, time, and location the incident occurred. 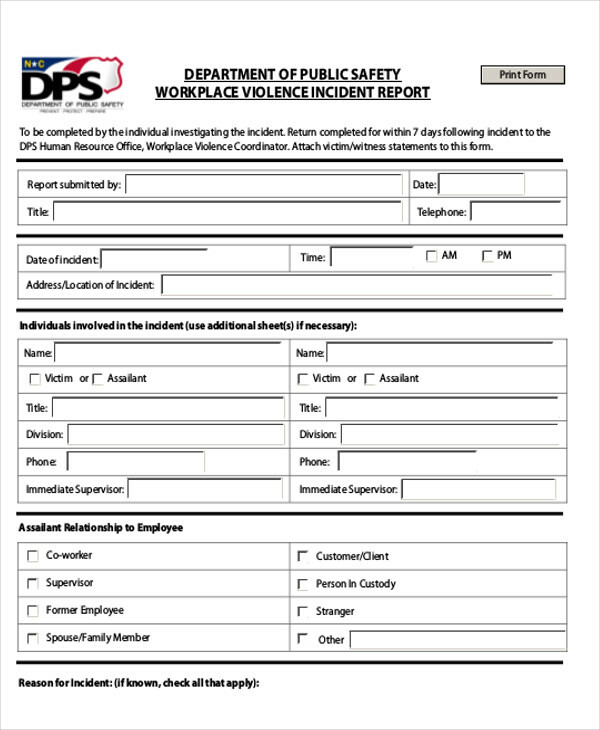 This also has to have the name or names of the persons involved. You may also narrate the thing that lead up to the happening. 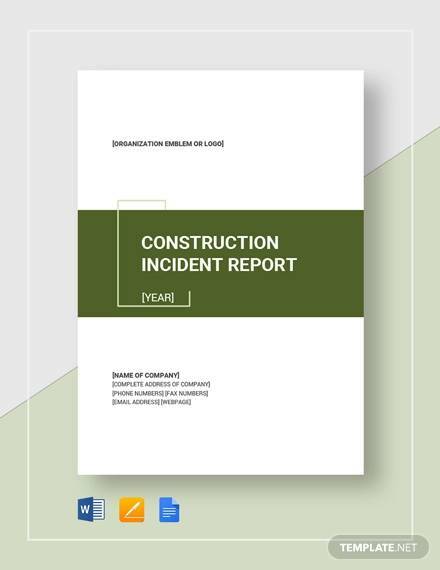 Be cautious with the facts, be accurate as much as possible, and of course of the sequence—what happened first and what came afterward. 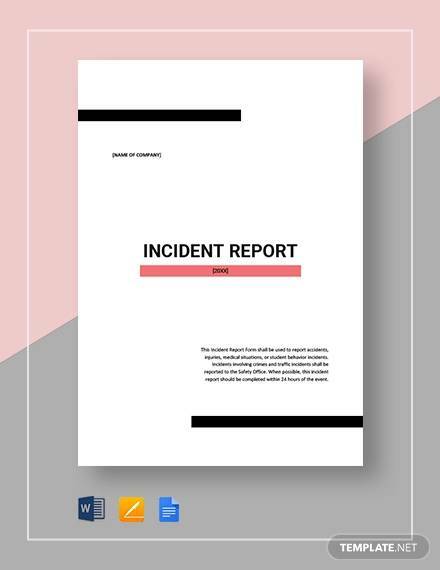 Your narrative or report should be clear aside from it being accurate; after all, the consequences of the person/persons and the occurrence is on the line. 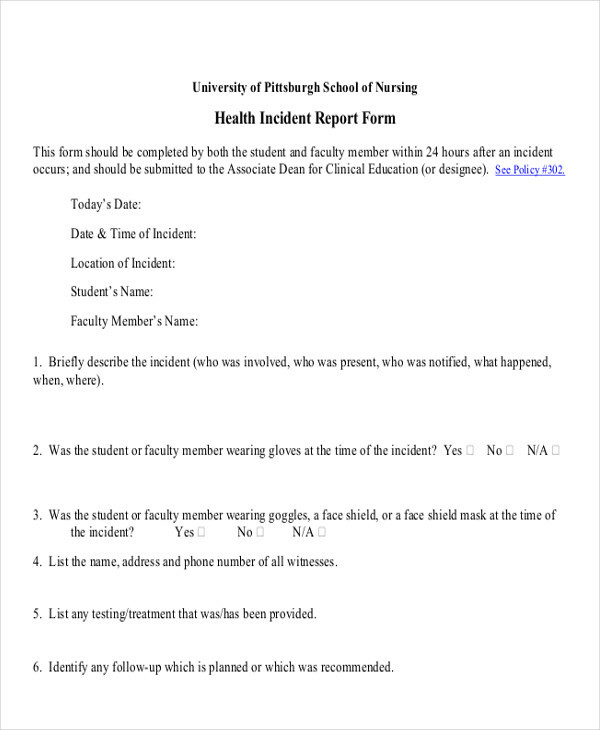 You might also include some suggestions as to how the incident can be prevented from happening again. 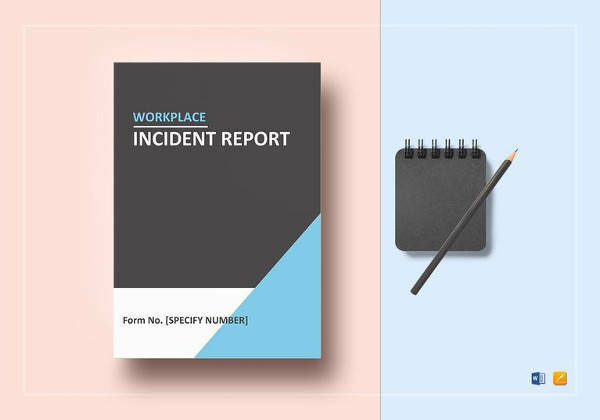 Reporting an incident encourages the management of the facility to promulgate regulations and corrections to keep the thing from occurring again in the future. 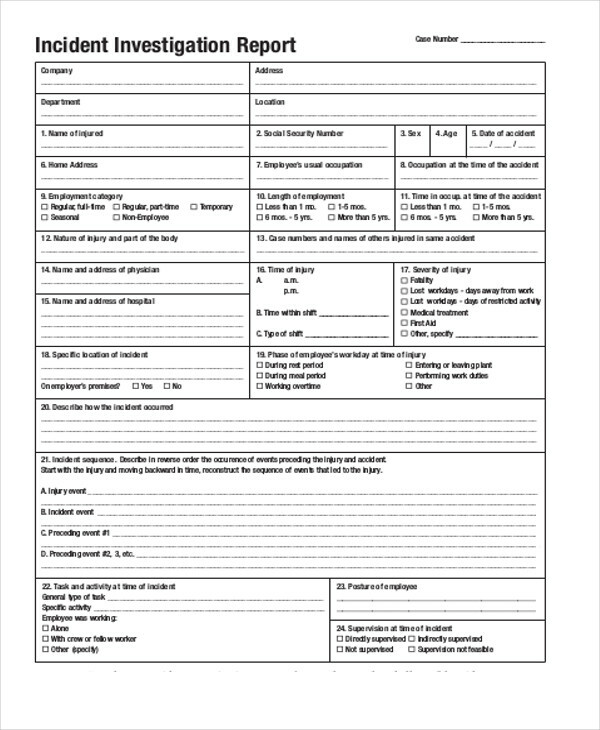 This is also so the company can either give due compensation or avoid necessary charges or fines. 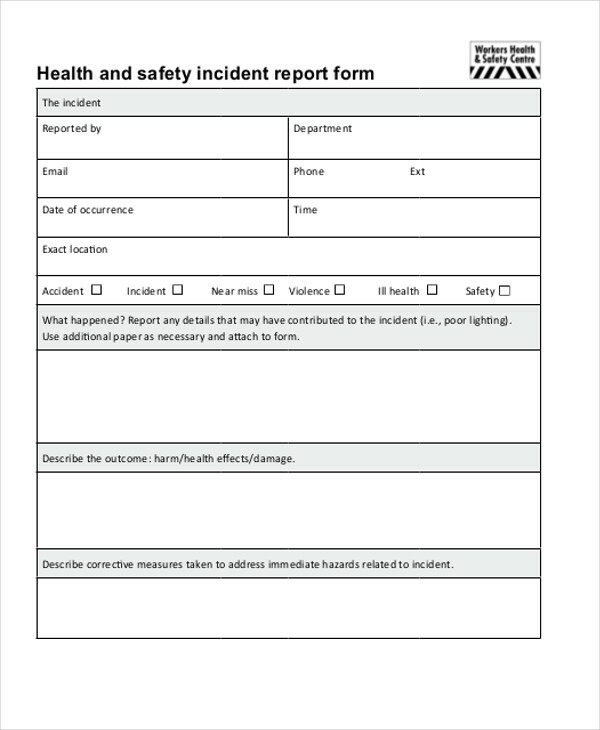 It is also important so the staff and the executives will be notified and therefore can respond to the needs of the persons involved in the incident. 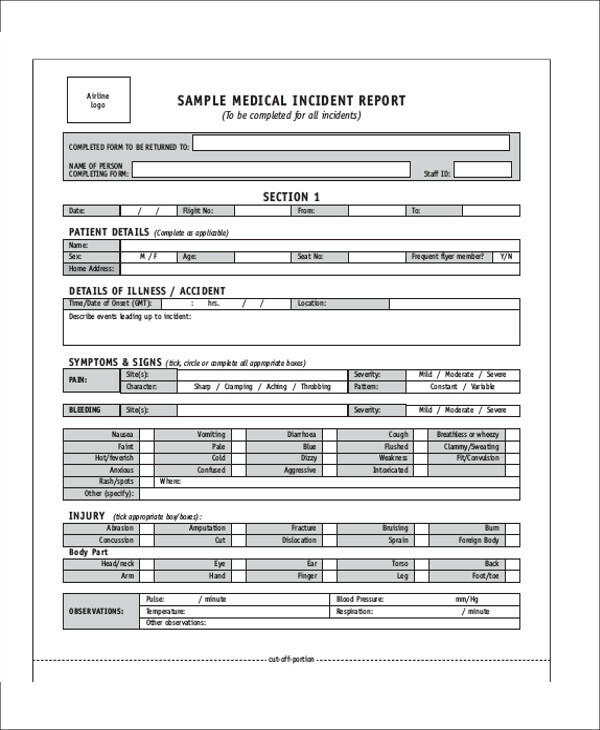 We also have Crime Reports if you need to process them as well. 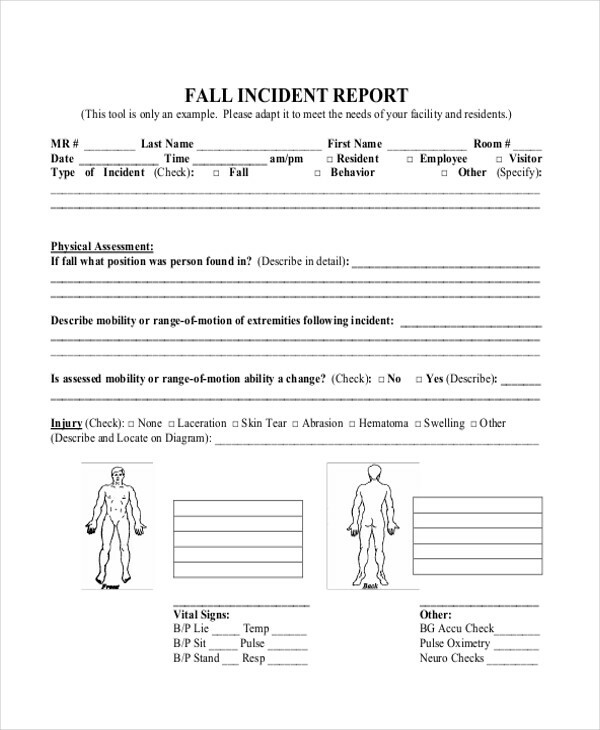 Incidents that involve falling objects. 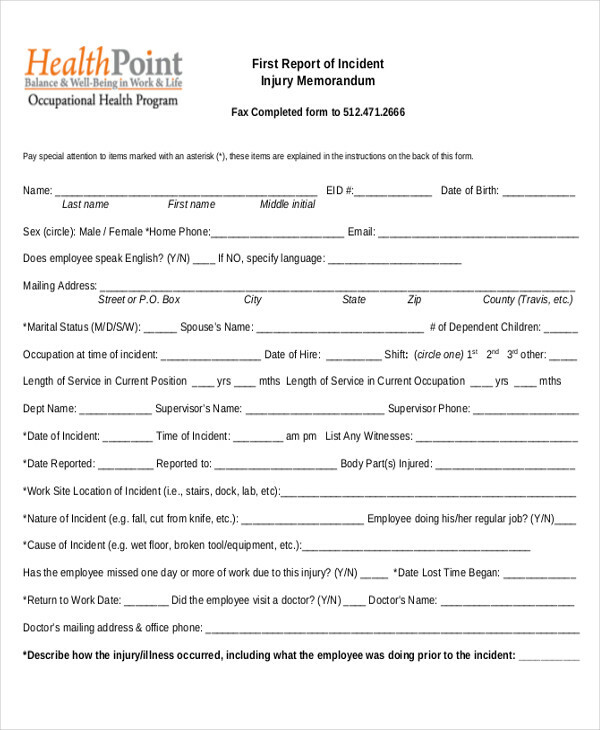 It is important to stay safe at work; after all, the absence of incidents enable workers to be more productive. But occurrences like these remind us that we always have to be careful. 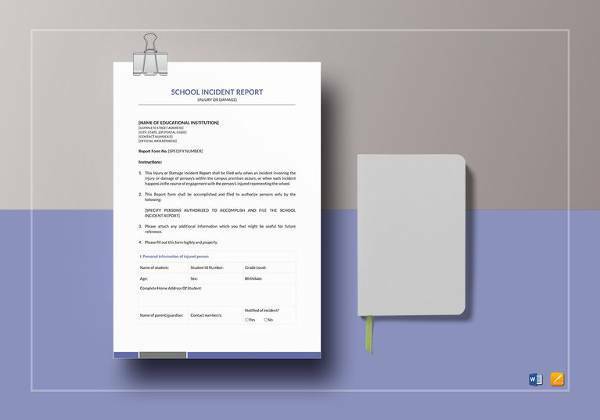 We also have Police Reports if you need them as well.